Dressing for dance class is important! It helps the dancer be prepared both mentally and physically. It also allows the teacher to see the body for proper alignment and placing. 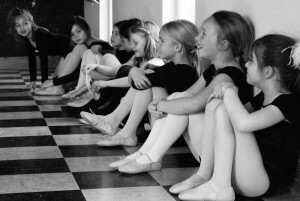 All Head to Toe Dance Students order their dancewear and shoes through the studio. Sparkle Dancers - Sparkle Dancer Pink Tutu, pink tights, pink ballet and black tap shoes. There is specific dancewear to be worn for our Holiday Season and Spring Festival Performances. Please check your festival guidelines for specific dancewear for each event. Sparkle Dancers – Sparkle Dancer Pink Tutu, pink tights, pink ballet and black tap shoes.